You are not logged in. 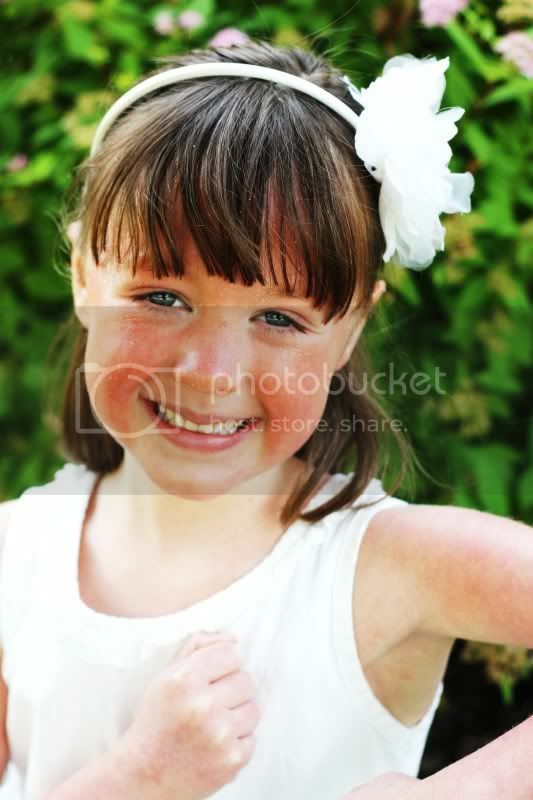 [Log In] Ichthyosis Information » Forums » Off Topic » Off Topic Discussions » Kindergarten Graduate! #26562 - 06/26/10 08:26 PM Kindergarten Graduate! This past week we attended Ema's graduation ceremony from kindergarten. She claimed to be nervous but proceeded to SHOUT out her poem for the letter "D" in "kindergarten". Here's a photo of "The Graduate" with her can-do attitude! The kindergarten graduate and her "can do" attitude has gone and cut off ALL her bangs to her skull. Yeah. She decided she didn't want bangs anymore. Please tell me that your children have done this before so we feel better. Every child gives themselves a haircut at least once in their life. Fortunately hair grows back, and you got pictures before she did it.